November has officially arrived, and brought many of us in the literary community a beloved tradition - the National Novel Writing Month, NaNoWriMo for short. Whether you've chosen to participate in the madness that is the race to complete a novel in a month, or whether you're chuckling at it from the sidelines, NaNoWriMo has established itself as a yearly staple many of us eagerly look forward to. This year, the both of us have joined the madness and thrown our hats into the race (against time and procrastination, for the most part). 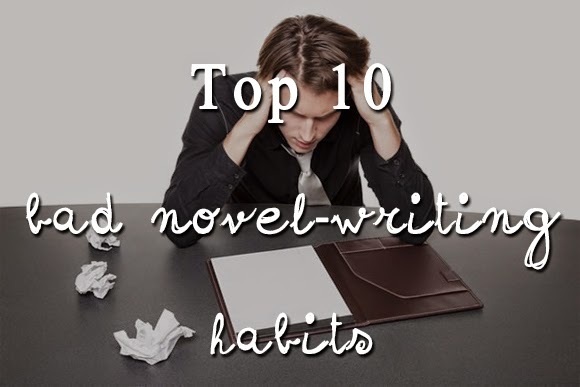 And in order to celebrate the genius and the madness that lies behind NaNoWriMo, we've compiled a list of our personal writing habits, of the sort we'd rather forego if given the chance. From typos to flat characters, to an absence of a unique character voice, we've seen and done it all. And in honor of NaNoWriMo, this Monday we're bringing some of our very worst to you. Enjoy (in a schadenfreude sort of way)! Yeah, we need to stop doing this. If you're in your writing place and you're on a roll - do not go back and re-read what you've read before you carry on. Not only do you start changing words and adding things in, but you'll end up deleting the whole thing and starting new. Of course you don't want to do that. Undoing the hard work you've already done is counter productive and in times of NaNoWriMo especially, as you only have 30 days, this isn't a good idea. Just keep going. When you've finished your work, THEN go back and re-read. The Inner Editor is a vicious beasts. It lives right next door to Self-Doubt and frequently rooms with Criticism. Subduing these nefarious characters is both an art and an acquired skill that some of us are yet to acquire. First drafts of most novels are closer to a jumble of ideas than they are to the finished product, and sometimes (especially during NaNoWriMo!) it's important to put the Inner Editor on hold until the first draft is complete. The Inner Editor is by no means a storywriting character whose voice should be ignored forever. But as far as first drafts go, sometimes unleashing it on a half-finished story will get you lots of rewrites of what's already been written, and none of the writing still left to do. So, you're writing your book and you have a quick breather. You look over and see your bookshelf. All those amazing books. I'll never write like them, my work won't ever be good enough to be published - STOP. For all we know, these authors all said the same thing and look where they got. Published works which are loved worldwide. That could be yours too. All authors have different styles and they all had self-doubt about their stories. It's normal. Keep going and don't worry. If something you feel isn't working in your story, you can go back later and change it. Just don't do it mid-story. An obvious no-no though it is, it does happen, sometimes without us even realizing that we're doing it. And an obvious no-no though it is, it is one of the most natural writing mistakes one can make. We learn to write by reading. 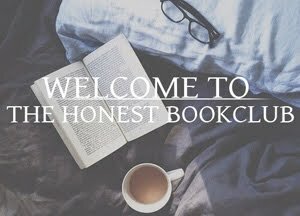 And while not all readers can be writers, we firmly believe that it's impossible to be a writer without also being a reader. It was Stephen King who said that he who does not have time to read does not have time to write. And the books we (re)read, especially those we enjoy, are those which will leave a lasting impression on us, which will in turn influence our writing style. Having said that, attempting to emulate another person's (writing) voice is as futile as, well, attempting to emulate another person's actual voice. The moment we come to accept our own style is the moment we can truly sit down and write something with the hope of liking the finished product. When you're writing, if you decide that you don't like the way it's going for whatever reason, maybe something is off about it or possibly you're not writing it well enough to give the story some justice - stick it out. I promise, try and stay with the original one you had. If you're doing NaNoWriMo and you're half way through, it won't be easy to catch up if you change your mind. It's normal to get a little worried that people won't like it but who cares? It's your story. If people don't like it, that's their problem. Write them how you imagined them since day one. Tell us about the world that you had in your mind and don't let people discourage you. Keep at it! Needless to say, the protagonist is one of the most crucial characters in a book. And whether we opt for one or more protagonists, whether they're the hero or the anti-hero (or a flat-out villain), giving each protagonist a unique voice is an art lost on many - even some acclaimed, successful authors. Getting the feel for a protagonist is often difficult, and sometimes a true voice won't emerge until halfway through the novel. If so, there's nothing to it but going back once finished and editing the first part until this voice is present, consistent and easily recognizable. We find this hard to do. Dialogue is fairly easy to do, but when you've got to do a detailed description of a place or a person without it sounding silly isn't easy. We don't want to write 'he had brown hair and blue eyes, wearing a black t-shirt and shorts', we want to write it so it fits with the writing style, so it makes the book more enjoyable and less amateur. Anyone can write what someone looks like but an author writing about somewhere or someone is always better. It might be easier to add extra descriptions later so don't worry about it right now. Wait until the editing days. You still have their face and that world in your mind, it's staying there. There's plenty of time. Don't rush it. Unmet expectations are never too motivational of a thing. Unmet expectations of oneself are even less so. Putting too much pressure on any aspect of novel-writing can not only take all the fun out of writing (and yes, we said it, controversial as it is - writing should be fun), but also result in total disillusionment and an abandonment of a project that we were initially so excited about. Setting too stringent of a deadline, having unrealistic hopes for a first draft, hoping for an international bestseller upon completion are all excellent ways to never reach that completion at all, and never meet any of the goals at all. They're obviously not easy to avoid as we all do them, especially if you're writing quickly. Your fingers get clumsy and you end up with a sentence that looks a bit like 'nd them he sw her acss the rom'. It's a bit off putting but make sure you sort them out first, in case you go back and can't make sense of it. There is no such thing as authorial behavior, nor is there such a thing as a to-do list for what a person needs to achieve while writing in order to become a successful author. This list is no different. At most, there is advice - some helpful, some less so - on the writing craft. But authors as species are as different as any other species under the sun. Mikhail Bulgakov took several years and several drafts to finish Master and Margarita. Fifty Shades of Grey essentially went from fanfiction.net to the New York Times bestseller lists. Believing that a modern classic would therefore take decades to complete is as erroneous as attempting to force oneself to adapt the pacing accordingly. Most of Jane Austen's works were also written as a single draft... if our highly confidential sources are to be believed. Talk to us, fellow writers! What are some of the worst writing habits you find yourself falling into, and do you share any of ours? Have you worked out a way to overcome them successfully (if so, we'd more than appreciate the input)? Share your (self)destructive writing patterns with us in the comments below, or find us on Twitter, Instagram or Facebook.